"May your life be all unicorns and rainbows" with these sterling silver unicorn earrings for your love of jewellery. 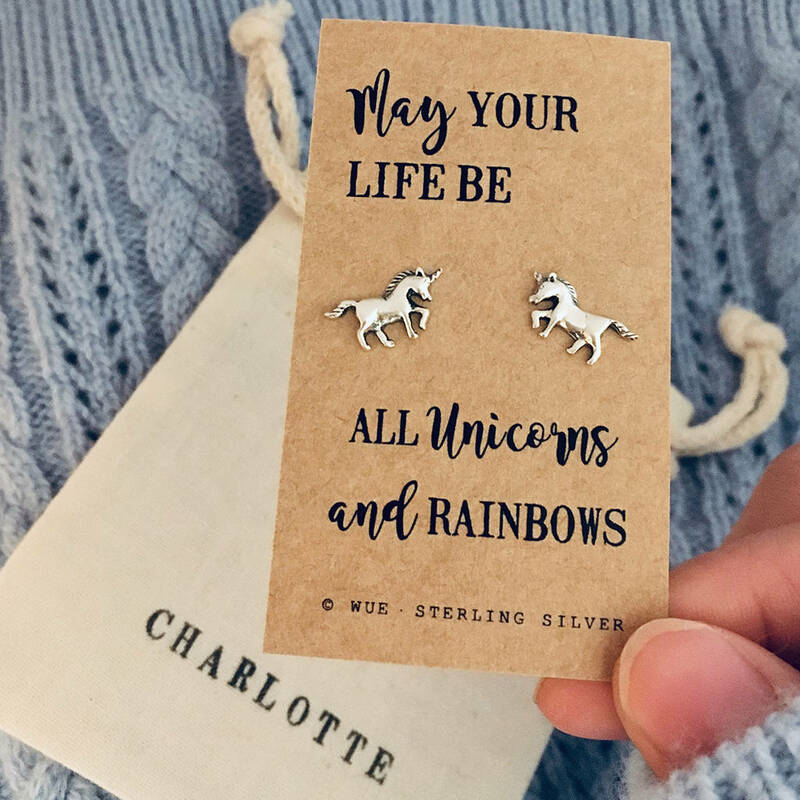 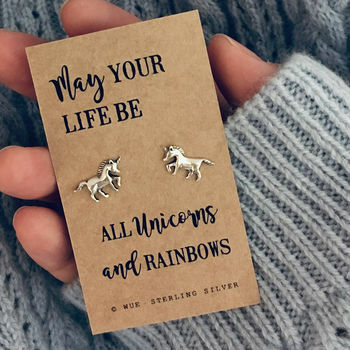 These sterling silver earrings are perfect gift for a Unicorn and jewellery lover adding an extra magical touch for a birthday or other special day. 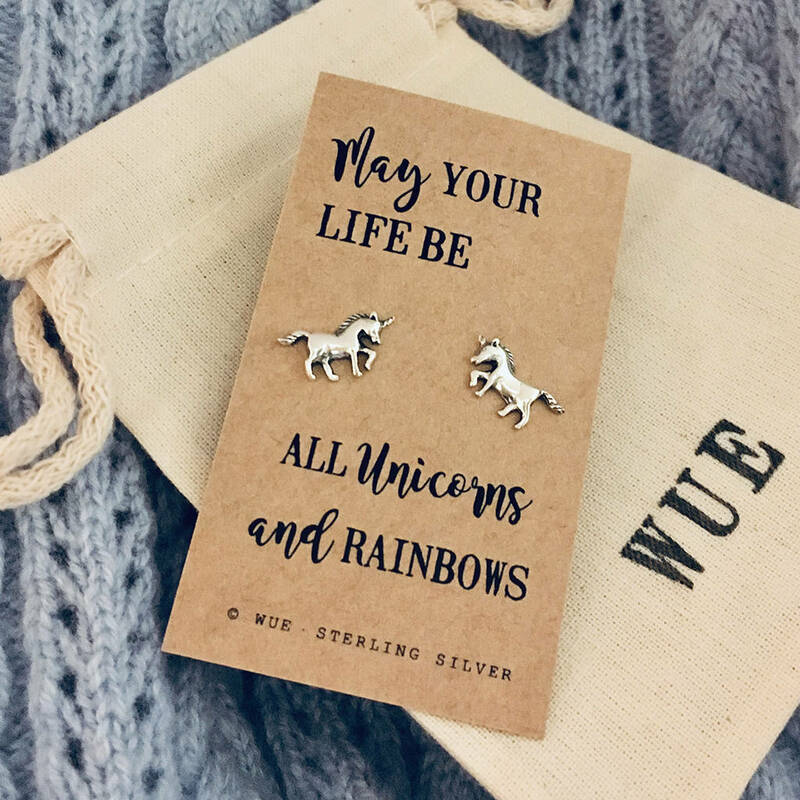 The earrings come on a message card "May your life be all unicorns and rainbows" and in a gift bag which can be personalised for that extra personal touch.